Eliminate stains on all cloths and linens before dry cleaning. Dry cleaning spot removal can cause extra wear and tear on fabrics. 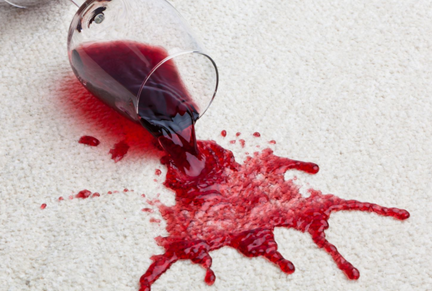 Carpet spills can start adding up after awhile getting trapped under surface in padding. Pour over affected area, through to padding to eliminate underlying odor and stains. Furniture and interior fabric cleaning can be costly, time consuming and unnecessary for on the spot removal. For spills that have saturated into cushioning, pour Ohmy! over affected area into cushioning without having to rinse. Quick and fresh results for home and bathrooms, without the lingering artificial frangrances and toxic ingredients that can irritate allergies and our pets lungs. Mist high into air and let droplets fall catching and banishing odors. No need to get out of the way of the mist, if while spraying you walk through mist...no worries. Carry our 3oz. convienent size with you. Try it on older stains; it has been known to work wonders! Try Ohmy! simple, safe and always fresh. Please feel free to contact use with your questions.